Mike Dee is the co-founder of Dee Physical Therapy with his wife. He is a graduate of the SUNY Upstate Medical Center School of Allied Health Sciences. He oversees the running of Dee PT while also treating patients. Since he grew up with nine brothers and sisters, he has played just about every sport and has participated in six marathons. Mike started his career in Manhattan, NY working at The NYU Rusk Institute of Rehabilitation, Cornell University: New York Hospital, Roosevelt Hospital, and Sports Training Institute where he was Assistant Director of Sports Physical Therapy. 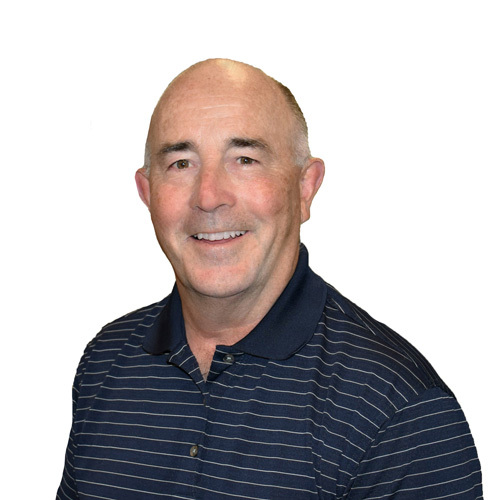 He moved to Vermont in 1988 where he worked at the Medical Center Hospital of Vermont before opening his orthopedic and sports physical therapy private practice on San Remo drive in South Burlington. Mike has held certifications as a: Pedorthist, Personal Trainer (CPT) and Certified Strength and Conditioning Specialist (CSCS) with the National Strength and Conditioning Association (NSCA). Continuing education has been the focus of Mike’s career as he specializes in the treatment of orthopedic and sports-related diagnoses. “Listening to the patient’s history, performing a detailed evaluation, using simple manual techniques exercises and education has been the best thing for each patient” is how he describes his approach. Mike grew up as a competitive swimmer and runner and continues to enjoy bike riding, Nordic skiing, and outdoor activities. His volunteer community experience includes: President of Charlotte Little League, Cub Master Pack 615 Cub Scouts, Charlotte Firefighter, President of the Board: Vermont City Marathon, and he currently serves as the President of the Board of the Vermont Chapter of US Lacrosse. Mike was also Co-owner and physical therapist for the Vermont Voyageurs, a men’s box lacrosse team that plays in the Quebec Senior Lacrosse League.